ABOUT: While home sick in bed, a young boy's grandfather reads him the story of a farmboy-turned-pirate who encounters numerous obstacles, enemies and allies in his quest to be reunited with his true love. LIVE MUSIC: Visit www.streetfoodcinema.com/the-princess-bride/ for the most current Live Music listing! 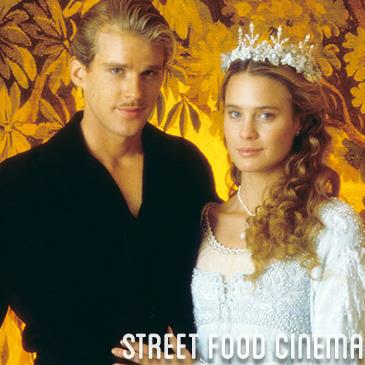 FOOD TRUCKS: Visit www.streetfoodcinema.com/the-princess-bride/ for the most current Food Truck listing!